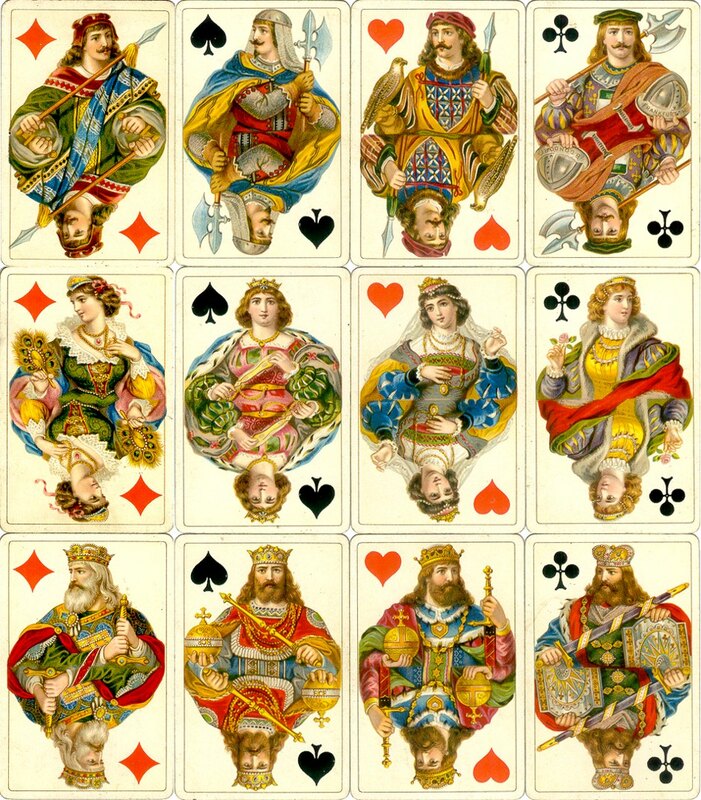 These fantasy designs imitating late medieval costumes were published by B. Dondorf in Germany in various editions between 1889-1933 as Mittelalter No.150, 151 and 135, as either 36-card Piquet decks or 52-card Whist decks. At first there were no indices, but after 1906 corner indices were added (A, K, D, B). Usually there was no Joker. 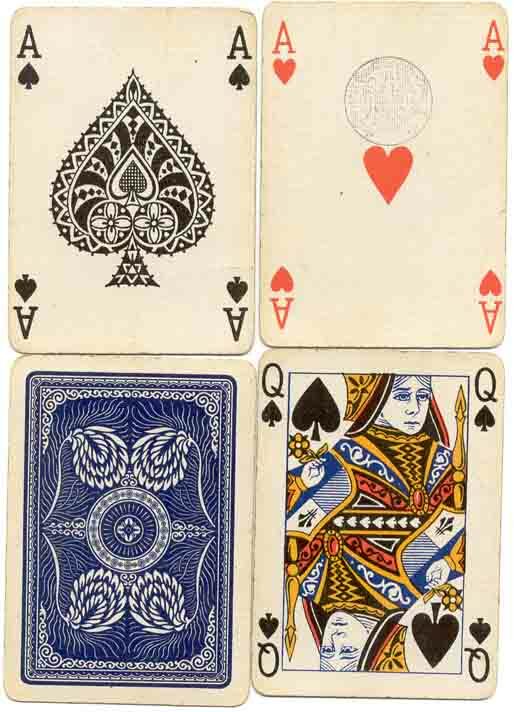 One or two of the court figures can be recognised from other Dondorf decks, for example the Queen of Diamonds holding a peacock feather or the Jack of Hearts with a falcon. This and other Dondorf packs (e.g. 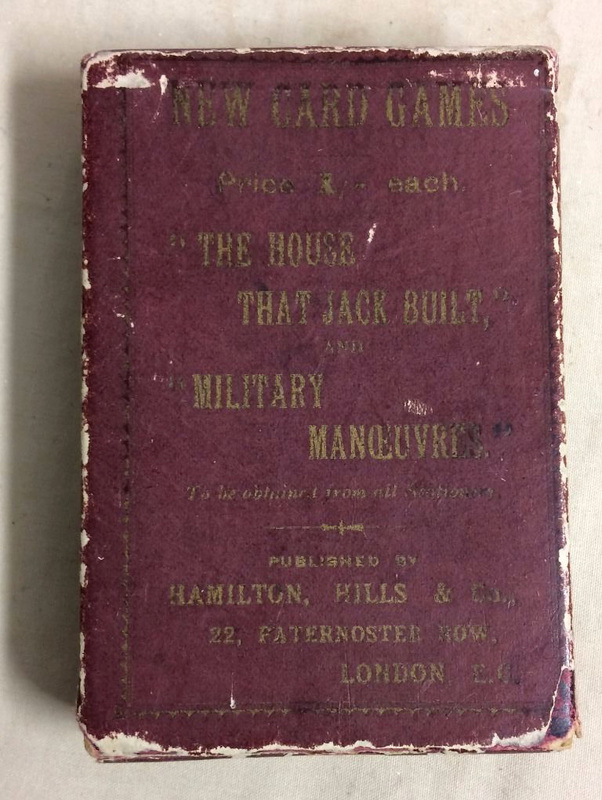 ‘Baronesse’) were imported and sold in England under the name ‘Unique Playing Cards’ by Edward Hamilton, later Hamilton, Hills & Co., London E.C. The designs were also copied by J.J. Nunes of Lisbon as ‘Whist No.32’. 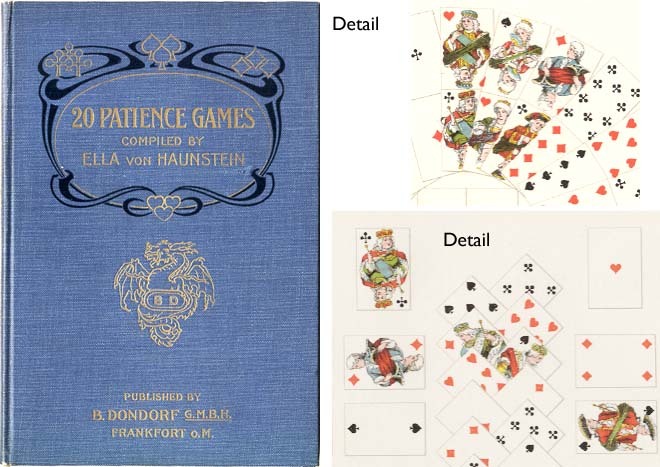 Above: Dondorf's ‘Mittelalter No.150’ pseudo-medieval playing cards, printed by 12-colour chromolithography, gold corners, 60mm x 92mm. This version without indices was printed from 1889 to 1905; later versions after 1906 had corner indices. The ornamental back designs were produced in various shades of colour, and a version called ‘Mittelalter No.135’ was produced with advertising for Hamburg South American Shipping Line between 1906-1933 with plain Aces. 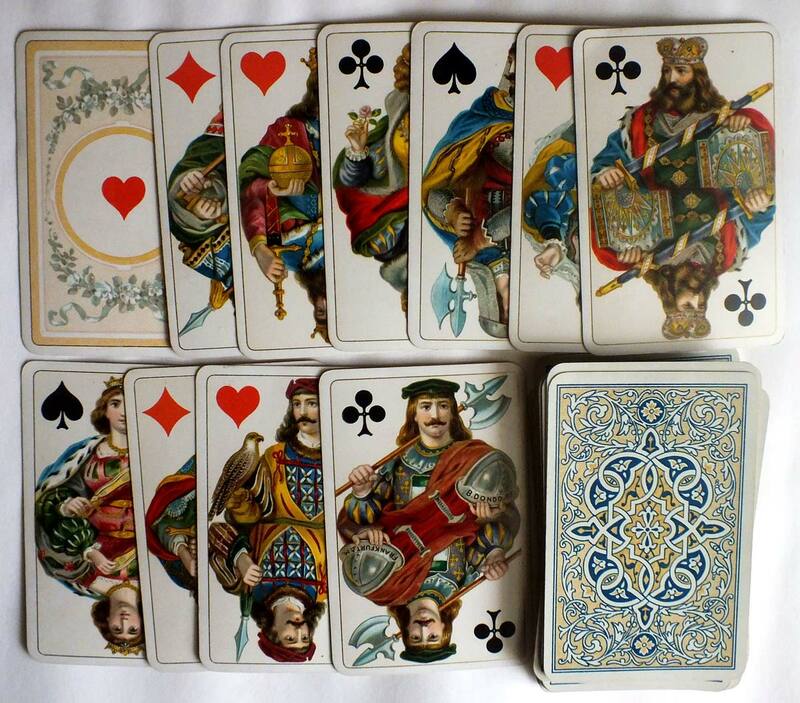 The designs were also copied by J.J. Nunes of Lisbon as ‘Whist No.32’. Images courtesy Barney Townshend.